Recently, I spoke at the Exponential church planting conference. One day at lunch I was talking with some other leaders about how we do missional communities and what others were learning and I mentioned in passing (because it is so much a part of our culture now) that the MC’s at Revolution change their rhythm in the summer (June and July). Everything at lunch stopped moving. One of the problems I have with missional communities is that they never stop meeting. They do this, because they want to live out the identity of being a family, and families never stop meeting together. And, the mission never ends. Revolution used to be this way. Having our MC’s meet til they multiplied or until Jesus came back. Almost three years ago I found myself at two events with a lot of pastors whose churches were organized around missional communities. In total, there were probably 75 pastors at each of these events. At each one, over 50% of the pastors were either on sabbatical, going on sabbatical or just coming off of sabbatical. As I pressed into this, I learned they were all tired. I also started to hear stories of burnout among missional community leaders at churches as a leader approached year 3 of leading an MC. This was frightening to me as our church had just done the hard work of transitioning from small groups to MC’s. So, we made a choice. One that would alter our church and the health and longevity of our leaders. We instituted a summer break for our MC’s. Required it. When we brought this change up 3 years ago, many of the MC leaders at Revolution reacted as leaders do when you propose a change to something they love. They pushed back. Understanding the city you are in. Tucson is on a year round school calendar, which means one of the main school districts our families come from have a 6 week summer break and the other one has 7. This means, in those 6-7 weeks, people are at camps, on trips, escaping the heat in California, visiting families, etc. It is different if you have a 3 month summer break, but for us we had to understand what the rhythm of our city is, which is what good missionaries do. Leadership is tiring. The leaders who become MC leaders work tirelessly. They love their MC, serve them, disciple them, develop leaders, host them in their home, lead them in studies, open their lives to them. This is all encompassing and can be exhausting. A break helps leaders stay fresh. I know people will say that MC leaders should take breaks with their MC during the season. I’m not sure how realistic that is. Taking a break is a way we as a church serve our MC leaders and help them stay healthy. A break gives you a kick off. We launch new MC’s in August and January. We make everyone in our church sign-up again. You have the freedom to switch MC’s if your schedule has changed. This creates a sense of excitement in our church as MC’s launch. New people feel more comfortable joining because everyone is starting on week 1. A break gives you an end date. Our culture, and men in particular, like end dates. We want to know how long a semester is, how long soccer season is. We want to know this before committing. This is a good thing and one that churches often miss. I think one of the main reasons people aren’t engaged in community in their church is because they don’t know the end date for that group. Many will say this is an idol that we need to confront and that may be true, it also might be true that we are used to things have a start and an end and that is how it works. A change of pace. During the summer, our MC’s still get together but they spend more time playing together and resting together. They don’t meet every week and each MC is different depending on the needs. One summer my MC didn’t meet at all because almost all of them were college students and they all left Tucson. This is a reminder that life is a series of seasons, our lives were meant to live in those seasons and when we work against them, it leads to burnout and disaster. The first step to transitioning a church from small groups to MC’s is why do it. 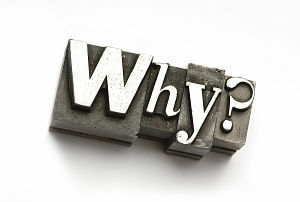 I’m a big fan of Simon Sinek’s book Start with Why. In it, he makes the case that any church, organization or movement can answer why they do something. What will we get by making this change? Why do we have to make this change? In the church world, MC’s are the thing to do. They are hip and cool and the new church planters are doing it. All the mega-churches are transitioning to them. It is what you do if you are a smart pastor. I met several people at Exponential who told me that was why they were doing MC’s. That isn’t compelling. No one in your church cares about MC’s, unless you tell them why. And hearing about it at a conference or reading a book isn’t good enough. When we started MC’s at Revolution, they were very focused on mission and social justice. Discipleship was not the goal of them. As we’ve grown in our knowledge of what God has called us to, discipleship is the obvious goal of the church and Christians (Matthew 28:18 – 20). Mission, serving together, community, praying together, eating together, walking with each other through hard times and celebrations is all part of discipleship. Discipleship is the umbrella of missional communities, it is what everything points to. Once this is clear it helps to answer everything else about missional communities and are church. Things like: what do MC’s do when they meet, what is the point of serving, eating together, how do we evaluate the health of an MC or MC leader? While an MC lives out the identities of a servant, leader, family and missionary, those are all fuel for discipleship. Discipleship happens while we do those things. Until this is clear, until the why is clear, until the win is clear, a church and missional communities will struggle to stay focused. They will easily become a family that never allows anyone else to join or they will serve and focus solely on social justice and reaching out to those in need without ever sharing the gospel with them.